During 2016, a prominent energy company was experiencing difficulty with pressure management while completing wells in Colorado. They contacted Oseco to request troubleshooting assistance. 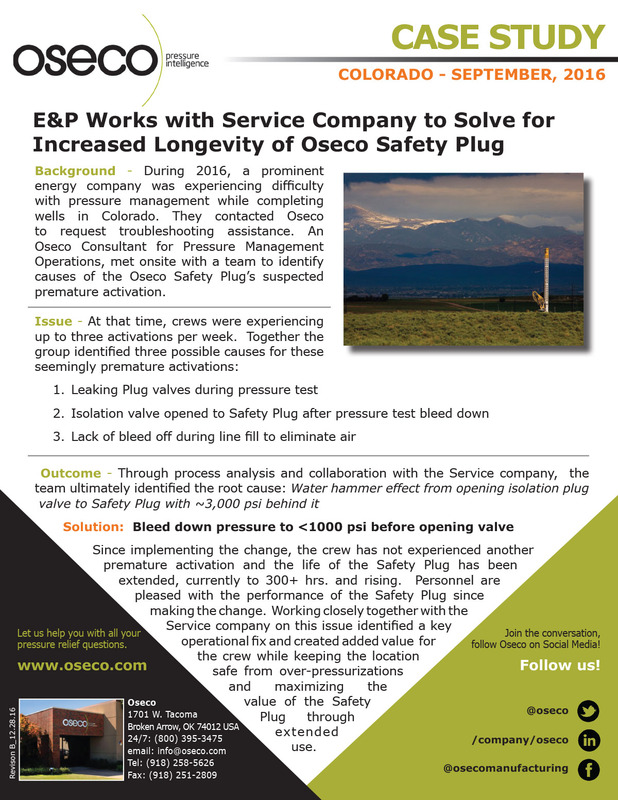 An Oseco Consultant for Pressure Management Operations, met onsite with a team to identify causes of the Oseco Safety Plug’s suspected premature activation.